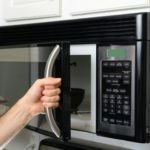 Home » Blog » Are Microwaves Safe to Use? Microwaves are a hot topic in the health community (pun intended! ), and the internet is full of claims that they leak radiation, destroy nutrients, change the chemical structure of food to become toxic, and pose a wide variety of health risks. 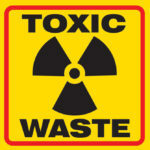 Even the term “nuking” our food brings to mind scary images of atomic bombs and radiation exposure! The rumors about microwaves’ harmfulness have prompted a number of people to stop using them entirely. But, are these claims really founded in science? To find out, let’s take a look at exactly how microwaves work, and what the scientific literature says about their safety and nutritional effects! Microwaves heat up food by exposing polar molecules (such as water, which has one positively charged side and one negatively charged side) to electromagnetic waves within the microwave spectrum, around 2.45 GHz—a wavelength between radio frequency and infrared radiation. When exposed to these electromagnetic waves, polar molecules react by rapidly spinning clockwise and then counterclockwise over and over again, due to the alternating electric fields causing the molecules to change the direction of their rotation. (In fact, they reverse direction about 2.5 billion times per second!) The agitated polar molecules gather up lots of thermal energy that can rub off on nearby molecules, causing the food to heat up quickly. A variety of websites, articles, and health authorities have claimed that microwaves destroy more nutrients than other forms of cooking, leaving normally healthy foods devoid of their beneficial components. (Some of the more extreme claims state that microwaving destroys all the nutritional value of a food.) But, the scientific research shows no such thing! In one study, microwaved pork and chicken retained significantly more thiamine and vitamin B6 than the same foods cooked in a conventional oven. Microwaving breast milk has been shown to preserve the original vitamin and polyunsaturated fat content, with no harm to important immunoglobins up until 60°C/140°F (at which point, any form of cooking will start damaging the more sensitive molecules). A study of the health-promoting compounds in broccoli showed that out of five different cooking methods (steaming, boiling, stir-frying followed by boiling, stir-frying alone, and microwaving), microwaving resulted in the second-lowest chlorophyll loss, retained more vitamin C than stir-frying or boiling (or a combination of the two), and retained more carotenoids than boiling and the combination of stir-frying and boiling. A test of microwaved versus conventionally cooked beef slices also found no difference in chemical composition between the two methods, and actually showed that microwaving resulted in higher “flavor scores” than using a conventional oven (yeah, I was surprised by that one too!). 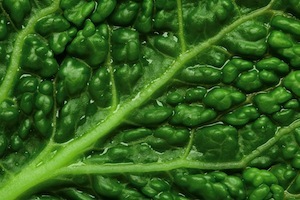 Research on blanching green beans, purple hull peas, yellow squash, and mustard greens found no difference in vitamin C content when microwave-blanching was used instead of conventional blanching. And, virgin olive oil has been shown to retain more alpha-tocopherol (vitamin E, an important antioxidant) when heated in a microwave versus a frying pan. On the downside, some studies have shown a major loss of flavonoid content in broccoli and vitamin C in various foods from microwaving (especially relative to those foods in their original raw state). But, this is due mainly to the vegetables being cooked in a lot of water for an extremely long time, which results in water-soluble vitamins and certain phytochemicals seeping into the liquid (the same effect happens with boiling or using other water-based cooking methods). Plus, the destruction of some nutrients definitely isn’t unique to microwaving, since virtually any cooking method will damage heat-sensitive nutrients to some degree (see Vegetables: To Cook or Not To Cook). So, it’s certainly possible to cherry-pick studies that show microwaving destroys certain nutrients in specific foods. 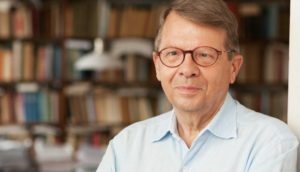 But, when we take a big-picture view of the available literature, the bulk of the research suggests that microwaving is less nutritionally damaging than most other forms of cooking (it’s really the application of heat or use of water, not the microwave itself, that causes any nutritional loss). They key is to use minimal amounts of water and avoid heating the food longer than necessary (that’s of course the key with ALL cooking methods!)! Do Microwaves Make Food Become Toxic? Another major myth about microwaves is that they denature protein and turn food molecules into toxic substances (including carcinogens and other compounds that damage DNA). For instance, the Ener-Chi Wellness Center writes that microwaving “fractures food molecules, rearranging their chemical composition into weird new configurations unrecognizable as food by the human body” and that “By destroying the molecular structures of food, the body cannot help but turn the food into waste—not harmless waste, but ‘nuclear waste.’” Wow, that sounds [expletive deleted] scary! Not to mention the visual of food in my stomach turning into a glowing green sludge! Once again though, the scientific literature tells a completely different story! For example, research shows that microwave-cooked bacon has lower levels of nitrosamines (a potential carcinogen) than conventionally-cooked bacon. And, in contrast to grilling or frying, microwaving results in much lower (or non-existent) production of heterocyclic amines (HCAs) and polycyclic aromatic hydrocarbons (PAHs), two well-studied carcinogens that can form in meat or charred foods. (HCAs occur when amino acids, sugars, and creatine from muscle meat react at high temperatures, and PAHs occur when meat drippings hit an open fire and cause PAH-containing flames to shoot upwards and coat the meat, or when other foods get blackened in high heat.) In fact, microwaving meat and draining off the juices before grilling has shown to reduce the formation of carcinogens, compared to grilling the meat directly. As far as protein goes, there was previously some concern that microwaving foods like milk could transform L-amino acids into D-amino acids (which are less abundant in living organisms and less usable by cells), and therefore cause toxicity and make protein less bioavailable. But, subsequent research showed that this only happens at extremely high temperatures, beyond what household microwaves produce, and therefore shouldn’t be a source of fear or worry. And, as with other nutrients, any type of cooking has the ability to “denature” protein (which just means the protein loses its three-dimensional structure—not that it becomes toxic! ), such as an egg white solidifying and becoming opaque on the pan. In some cases, denaturing protein can be extremely beneficial; for example, extensively heated milk and egg proteins can make them tolerable for people who otherwise have milk and egg allergies (and even working therapeutically to increase their tolerance of those foods!). Many denatured proteins are also more biologically available and are easier for our digestive enzymes to digest. In fact, the advent of cooking is considered to be the major early human discovery that propelled our evolution forward and allowed us to develop the big brains we enjoy today (see The Diet We’re Meant to Eat, Part 1: Evolution & Hunter-Gatherers). Don’t Microwaves Kill Enzymes and Make Food “Dead”? And guess what? It’s true! Microwaving changes enzyme structures and “kills” food that has the potential for life (such as raw nuts, seeds, grains, and legumes that could potentially sprout and become new plants). BUT, that effect isn’t exclusive to microwaves: that’s just what cooking does in general. It doesn’t matter if we’re using a microwave oven, a conventional stovetop, or an indigenous solar oven! 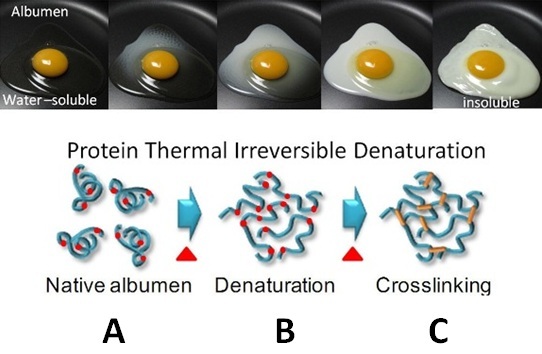 As with protein molecules, exposing enzymes to high heat from any source can alter their shape, making them unable to perform the functions they typically carry out. And there’s absolutely nothing wrong with that! Most enzymes in food are only used by the food itself (such as enzymes in an apple that cause it to ripen), and even if they’re intact when we swallow them, quickly get destroyed by our stomach acid and other digestive processes—rendering them useless by the time they reach the bloodstream and travel to cells. Only a very small subset of enzymes in food are known to have a physiological benefit to us (like the bromelain in pineapple stems, or papain in papaya). So, the idea of eating “dead” food really isn’t so scary. There’s nothing about microwaves that kills food in any sort of unique way compared to other cooking methods. What About the Studies Showing Harm? On top of that, the study’s design was extremely weak: it only used eight people, wasn’t blinded or rigorously controlled, used a very limited selection of foods, and measured post-meal blood values that don’t necessarily reflect a health risk. And most importantly, no researchers have ever replicated or confirmed the study’s findings in the more than three decades since the experiment was conducted (despite plenty of literature on microwave cooking emerging in those years!). If there was even a sliver of scientific validity to these results, other researchers would have taken up the banner to expand on them. It’s also worth noting that one of the lead researchers later recanted, and no longer supports the study’s conclusions. This just doesn’t meet even the barest minimum standard to quality as “evidence” for gauging the safety of microwaves. Another seemingly alarming report occasionally makes the rounds on email and social media, about an experiment where one plant was given water boiled on a stove (and then cooled), while a second identical plant was given water boiled in a microwave (and then cooled). 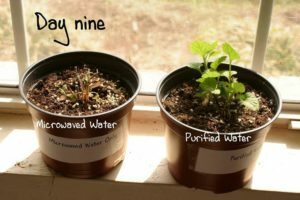 The results purportedly showed that the microwave-watered plant failed to thrive (and was essentially dead by day 9 of the experiment), while the other plant given stove-boiled water was healthy and green. But, Snopes.com has thoroughly debunked this experiment (here)! For instance, the images appear to be digitally faked. And even if the experiment had been real (which we have no proof of), numerous other factors could have caused the results—such as one plant/seed being compromised from the very beginning, the container used for microwaving leaking a substance into the water that harmed the plant, differences in the soil for each plant, differences in how evenly the water was heated and cooled (leading one plant to receive warmer water than the other), influence by the experiment conductor (who wasn’t blinded and embarked on the experiment already believing microwaves are harmful), or various other environmental factors like unequal light and heat exposure, insects, and pests. In order for an experiment like this to be legitimate, it would need to use a much higher sample size, be blinded (so that the person watering the plants doesn’t subtly influence the study’s results), and rigorously ensure all variables were kept the same except for the method of heating the water. Lastly, there have occasionally been stories about microwaved baby formula being hazardous to infants, compared to formula heated on a conventional stovetop. There’s a grain of truth in this—but not because microwaves cause toxic changes in the nutritional value or chemical makeup of baby formula! The main danger from microwaving formula is uneven heating (producing hot spots in the liquid) and trapped steam, which can result in burns and scald injuries. But, this can easily be resolved by following the microwave instructions on the formula container (which typically involve heating the formula for brief periods and then mixing it, gently shaking it after heating for better temperature distribution, or stirring the formula to get rid of hot spots). What About Standing Close to a Microwave While it’s Running? One other area of concern with microwaves has nothing to do with their effect on food, but their direct effects on our bodies when we’re standing nearby! Some people claim that microwaves are dangerous to be around when they’re running, because they leak radiation into the surrounding air. 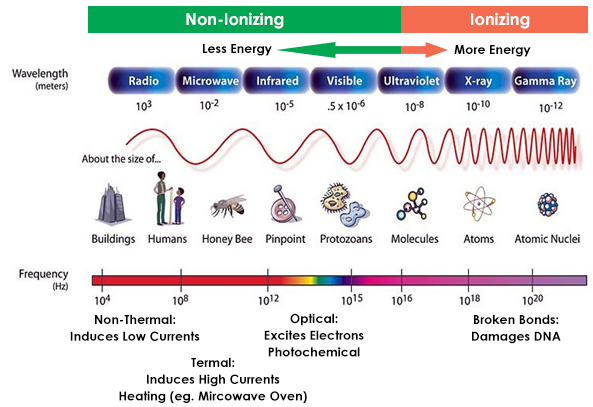 First of all, let’s all remember that microwave radiation is non-ionizing (I’m thinking of attempting to rebrand ionizing versus non-ionizing radiation as bad versus non-bad radiation!). The sound we hear and any air movement we feel around the microwave when the microwave is on is not radiation leaking out; it’s just the fan blowing air. And, more importantly, as long as a microwave isn’t damaged (like a broken handle or cracked door), the design prevents microwaves from exiting the oven and heating up your house. Microwaves have a form of inner shielding made up of a mesh-like screen with holes about 1 mm across, which prevents microwave radiation (which has a very large wavelength of 120 mm) from exiting (for the nerds: it’s a Faraday cage!). By contrast, visible light has a much smaller wavelength, which is why we can look into the microwave and see what’s inside even though the microwaves themselves can’t get out. The FDA carries out an electronic product radiation control program that makes sure emissions from microwaves (and other devices) aren’t hazardous to public health—capping the upper limit at 5 milliwatts (mW) of microwave radiation per square centimeter, when measured two inches from the oven surface. (At 20 inches away from the microwave, the amount of radiation would be only 1/100th of that value!) And 5mW of radiation per square centimeter is way, way below the level that’s been shown to harm humans—so even if we were to stick our faces a few inches from the oven while it’s running, we’d still be exposed to only minute microwave radiation doses that would be highly unlikely to hurt us. By the way, if you were able to stick your hand in a microwave while it was running, the harm you would suffer would be burns, not radiation poisoning (remember: non-bad radiation). In order to make sure microwaves are running safely and won’t be emitting more radiation than the safe upper limit, we should follow the manufacturer instructions for operating procedures and safety precautions (so that we don’t unintentionally damage the microwave). We also shouldn’t operate the microwave if its door won’t properly close or is bent or warped (or shows other signs of damage), or if the door’s hinges, latch, or seals look damaged. And, it’s best to avoid putting aluminum or metal pans inside the microwave, since those can also damage the machine. There’s absolutely no reason we would need to leave the room while the microwave is running. Using microwaves isn’t any more harmful than other cooking methods, and foods cooked in a microwave may actually retain more nutrients and contain fewer carcinogens than other common forms of cooking. The hazards typically ascribed to microwaves are either based on heresy or on weak, non-replicated, or debunked science. 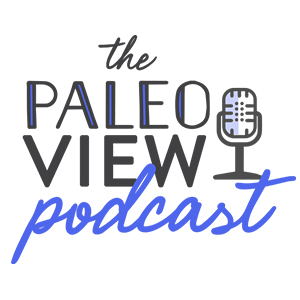 The Paleo diet may have its foundations in Paleoanthropology, but every facet is equally supported by contemporary biology and physiology research. As such, following a Paleo template isn’t about historical re-enactment, but rather about making the best choices as often as possible within a framework that provides a detailed understanding of how compounds in foods can support or undermine health. 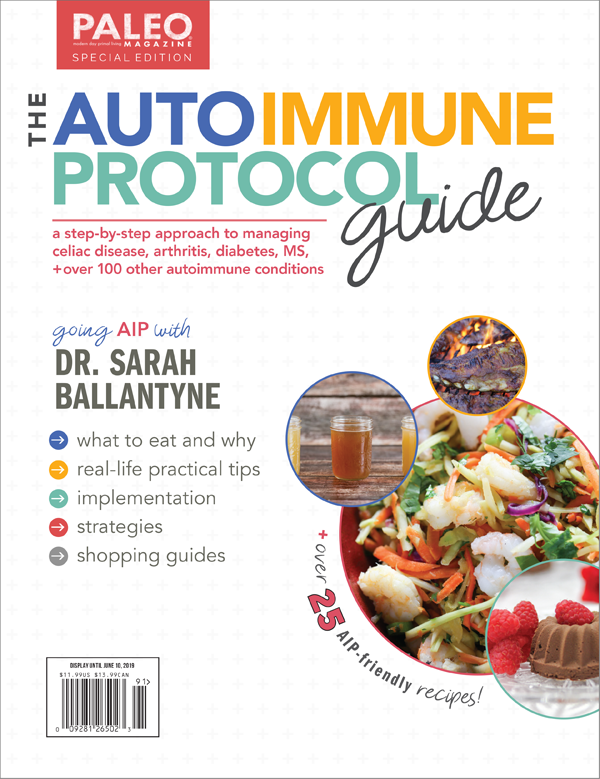 The importance of a nutrient-focused anti-inflammatory diet (which Paleo is) is also an important message to spread in order to improve public health. But, for many, following even the most generous and flexible versions of the Paleo diet is a big ask. I think it’s important not to ask more than can be supported by science. Ditching gluten and processed foods while honing in on a diet rich in a diversity of vegetables, seafood, quality meats including offal, fruit, eggs, nuts and seeds are principles well-supported by the scientific literature. 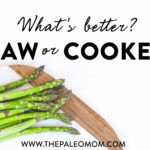 Avoiding the use of a major convenience appliance, one that can make all the difference in the world between Paleo being doable and sustainable over the long term for many people, is not. As long as the microwave oven isn’t damaged, there’s truly no scientific reason to fear or avoid microwaves. So, go ahead and enjoy the convenience when you need a quick way to cook or heat up your food! “Chemicals in Meat Cooked at High Temperatures and Cancer Risk.” National Institutes of Health: National Cancer Institute. 2015 Oct.
Dixon JJ, et al. “Severe burns resulting from an exploding teat on a bottle of infant formula milk heated in a microwave oven.” Burns. 1997 May;23(3):268-9. El-Shimi N. “Influence of microwave and conventional cooking and reheating on sensory and chemical characteristics of roast beef.” Food Chemistry. 1992;45(1):11-14. Hoffman CJ & Zabik ME. “Effects of microwave cooking/reheating on nutrients and food systems: a review of recent studies.” J Am Diet Assoc. 1985 Aug;85(8):922-6. Klein BP. “Retention of nutrients in microwave-cooked foods.” Bol Asoc Med P R. 1989 Jul;81(7):277-9. Knize MG & Felton JS. “Formation and human risk of carcinogenic heterocyclic amines formed from natural precursors in meat .” Nutrition Reviews. 2005;63(5):158-165. Lane RH, et al. “Ascorbic acid retention of selected vegetables blanched by microwave and conventional methods.” Journal of Food Quality. 1985;8(2-3):139-144. “Radiation-Emitting Products: Microwave Oven Radiation.” U.S. Food and Drug Administration. October 8, 2014. Nowak-Wegrzyn A & Fiocchi A. “Rare, medium, or well done? The effect of heating and food matrix on food protein allergenicity.” Curr Opin Allergy Clin Immunol. 2009 Jun;9(3):234-7. Ovesen L, et al. “The effect of microwave heating on vitamins B1 and E, and linoleic and linolenic acids, and immunoglobulins in human milk.” Int J Food Sci Nutr. 1996 Sep;47(5):427-36. Ruiz-Lopez MD, et al. “Stability of α-tocopherol in virgin olive oil during microwave heating.” LWT: Food Science and Technology. 1995;28(6):644-646. Schnepf M & Driskell J. “Sensory attributes and nutrient retention in selected vegetables prepared by conventional and microwave methods.” Journal of Food Quality. 1994;17(2):87-99. Sieber R, et al. “Heat treatment of milk in domestic microwave ovens.” International Dairy Journal. 1996;6(3):231-246. Sigman-Grant M, et al. “Microwave heating of infant formula: a dilemma resolved.” Pediatrics. 1992 Sep;90(3):412-5. Song L & Thornalley PJ. “Effect of storage, processing and cooking on glucosinolate content of Brassica vegetables.” Food Chem Toxicol. 2007 Feb;45(2):216-24. Uherová R, et al. “The effect of microwave heating on retention of some B vitamins.” Food Chemistry. 1993;46(3):293-295. Vallejo F, et al. “Phenolic compound contents in edible parts of broccoli inflorescences after domestic cooking.” Journal of the Science of Food and Agriculture. 2003;(83)14:1511-1516. Yuan GF, et al. “Effects of different cooking methods on health-promoting compounds of broccoli.” J Zhejiang Univ Sci B. 2009 Aug;10(8):580-8. Wow – what an amazing post. I went through a phase where I was told by a Naturopath to absolutely stop microwaving my food and I was pretty diligent about it, but it’s kind of hard! After reading your article, I’m convinced that the amount I microwave is just fine. I disagree with microwaving (or cooking) anything in plastic, that will never change. But, if I’m reheating leftovers, softening a sweet potato, or reheating my coffee – I do not think it’s a big deal at all. Thank you for the clarification and sharing your research!!!! Absolutely! But, that problem is the BPA and phthalates in plastic rather than the microwave. I never put hot foods in plastic containers! What kind of containers would you suggest to put in the microwave then? I always pack my lunches in plastic ones and then reheat them at work. I don’t know what else I could use so any suggestions are welcomed! What about trans-fats? I had read that microwaving food causes the formation of trans-fats. Hmm, interesting. But microwaved food without a doubt loses it’s flavour. When I reheat food in the microwave, it tastes like cardboard; whereas if I heat it on the stove or eat it cold it still tastes good. I wonder what the reason for that is. I think it’s easier to overcook (over-reheat?) in a microwave than stovetop, destroying flavour. thanks for doing this post. Very timely for me. My naturopath, whom I love and has saved my health many times over, just told me to stop using mikes because of that story about the nurse accidentally killing a patient after using a mike to heat up a pack of blood. Some people just die from blood transfusions so maybe that’s what happened. She also said she noticed a lot of her patients who microwave a lot have higher risk of cardiovascular disease. maybe that’s just coincidence tho. Well, it makes sense that heating up blood in microwave before a transfusion would be a bad idea, just like you wouldn’t heat it up on a stovetop! That intense heat would denature the proteins and kill the cells in the blood. Not an issue if you were going to eat it, but a terrible thing to inject in the bloodstream! Normally, they use special warmers that are at exactly body temperature. Scientific information is purely at the chemical and physical level. The bottom line is that microwaves destroy the Etheric energy in foods. And of course this is a spiritual and energetic phenomenon which the world had lost touch with. Very sad. You raise an interesting point which I’m open to but also skeptical. I assume some people claim they can see this energy, aura or whatever. Have any of them done a blind test say being shown 10 bowls of broth and been able to correctly point out which ones have been heated on a stove and which ones have be microwaved? I tend to believe in this energy but whether or not a microwave but not a flame destroys this energy I have no idea. Unless you can show proof, are we supposed to take it on faith? Sorry, I love your site & recipes but I have to disagree with this one. And my current roommate & landlady agree, they’re from Romania and believe nukeboxes destroy food- when I moved in here & saw they didn’t own one I was so glad. Hahaha – that’s hilarious. 99 out of 100 Romanian vampires agree, microwaved human blood just doesn’t taste good. I’m sorry – but how does the (crazy!) use of a microwave to warm blood for a transfusion have to do with cooking/reheating food for metabolic consumption in human digestive systems? That’s not even apples vs. oranges, that’s like radiators vs. vodka! And, does being from Romania somehow make your roommate and apartment owner experts on this question? Return to the word you used: “believe”. They have a belief, and nothing more. I can believe that unicorns spring out of flowers touched by the end of rainbows. Doesn’t make it scientifically verifiable. I think she was joking. Transylvania, where Dracula is from is a region in Romania. Thank You for this article! I have seen so much conflicting info about microwaves. I appreciate the science based information you provide for us. I feel I can trust the information you share and that means a lot. I really appreciate your scientific/technological dissection of the issues and debunking of many of the myths surrounding microwaves. I have always used them extensively, primarily for a quick warm-up of drinks and foods, but also as a great way to steam veggies in microwave safe container, for which it does an outstanding job – potatoes and other roots, cruciferous and leafy greens. It also does a good job with white rice. I almost never use it for any type of meat because it comes out tough, other than a gentle warm up. I have always believed plastic of any kind to be dangerous anywhere, especially in the microwave, and have never used it. All of this has been based on common sense and what works. It’s really nice to see that the science supports continuing to do so, because I plan on it! Finally! A sane logical look at all the claims! As a biochemist, this is what I try to tell people, but the scare-mongering on the internet is just insane…. Well, well done on this post. I will pass it on whenever I meet someone who has been scared into throwing away their microwave. Thank you so very much for this article!! Finally, someone did their research. I will be sharing this with many people. Thanks for this article and all the research backing it up. I had recently seen a report about how microwaved food can actually be a more healthy option. I don’t cook in mine, but reheating is a must especially at work. Since I prefer to eat home cooked almost exclusively I could not live without a microwave to make life easier and avoid eating sandwiches for lunch. Happy that the call dumping the microwave were not backed up. You always have to do the research. Thank you Sarah, I am so impressed with you and your intelligent approach. Thank you Sarah for another wonderfully informative debunking. What’s next for you- vaccinations? Oh my gosh. YES please write about vaccinations. I look forward to that very much. Hmmmm interesting I didnt see any citations from the many articles, studies and publications that prove a) microwaves do leak – a simple test is to put your mobile phone in there and call it – if it doesn’t have any signal then it is fine but I have tested many microwaves and get very clear readings of leaked non ionising radiation. No studies that show that microwaves kill the good bacteria of our breast milk – the number one reason we encourage breast feeding! Or the fact that we really don’t understand the effects of non ionising radiation on the body because we don’t have the means to test it with any other measures than its ability to heat tissue. I would also like to point out that when the body eats a food that has had the water molecules rearranged into t a more linear shape as the heating does (as opposed to their natural bent formation) it retains that energy which is then taken into the body – with transfer are we not cooking the body from the inside out? Microwaves kill bacteria hence you can disinfect a dishcloth in 30 seconds. One of the biggest problems that we face today and Im sure you are away is the interference with our microbiome. When the food that you eat has been heated with non ionising radiation where do you think that transfers to? I would also like to say that there is plenty of evidence that supports we should be cautious when it comes to non ionising radiation – I mean after all if it isn’t damaging why are we so concerned about making sure it doesn’t leak? A very disappointing article in my opinion. I would have consulted an expert in this field such as a building biologist and not information published in cooperation with industry. next, please go back and think about your statement that microwaves forces water into a more linear shape. A hint for you: molecular geometry is the result of the arrangement and number of bonding and lone pair electrons. A microwave can not, and will not, change the electrons on the central oxygen atom in water and thus it can not and will not change the bond angles. There is no way to force water into a more linear shape and absolutely zero evidence that it occurs. Paleo mum appears to only reply to people who agree with her, at least that’s the way it seems here. The integrity of the human system is mostly concerned with polar arrangements of water molecules within the human cell, and this is what determines what comes in and out of the cell, not the US scientific fallacy of myriad in and out pumps on the cell membrane – there just isn’t the room for all those pumps on a cell membrane. Russian scientists recognised the water polarity model of cellular transport during the cold war period – we labour under the inferior and obviously erroneous model we have for political reasons only. But at least Paleo mum is in line with snopes here, who totally agree with her. In fact, snopes could have ghost-written this post. Who knows, maybe they did. The thing is, whether or not the radiation is ionising is a furphy – the real issue is the rapid reversal of polarity, and Paleo mum seems quite proud of the fact that microwaves mess with natural polarity at 2.5 billion times a second. This is not a good thing. If you care about the health of you and your family, just cook and prepare foods normally. Is your laziness a good enough excuse for compromising the health of your children? No, just do things properly, as nature intended. And eat more raw, organic foods. 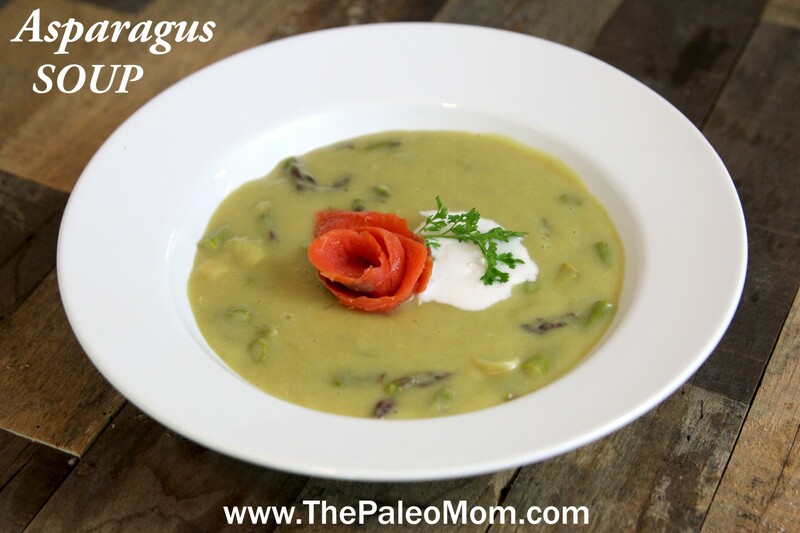 You don’t have to microwave a lettuce or a carrot to eat it. Also, Paleo mum, where did you obtain your science degree? I got mine from the University of New England. The dissenting opinions don’t really warrant a reply, since most of them, like yours, are baseless and offer zero valid claims. Apparently, a ‘science degree’, in an unspecified field of science, isn’t very hard to get. You argue that the real issue is rapid polarity reversal- not sure where you’re getting at, though, since it does nothing but heat up the food quickly. You lamely end your statement about it with “This is not a good thing.” Okay…? You then go on to argue about doing things ‘properly, as nature intended’. Again, what exactly did nature intend? I was unaware that nature was a sentient, opinionated being. I suppose you get your information from your ‘science degree’. Thanks for doing the heavy lifting here and pulling all this together. It’s one of those topics that is hard to discuss rationally with people. The other argument against microwaves that I’ve heard, which kind of touches on your last point, is that it messes with the body’s electromagnetic field (in the way, say, high-voltage power lines are believed to do). IE it’s part of anti-EMF activism to oppose microwaves (along with everything else in modern life that emits a radio signal). Check out Robert O. Becker and his Microwave News site. It’s quackery IMPO but I’ve heard his opinions cited by some otherwise sound people. I’m only using a microwave to reheat food at work currently, less than2 minutes and I don’t even have one at home anymore. 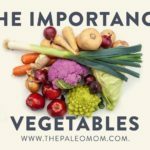 I would like to get Dr. Terry Wahls opinion on your article, since she is all about nutrient density. 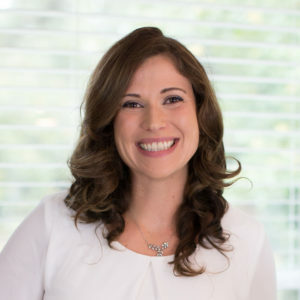 “As such, following a Paleo template isn’t about historical re-enactment, but rather about making the best choices as often as possible within a framework that provides a detailed understanding of how compounds in foods can support or undermine health.” I love this quote, thanks for a great post Sarah and for the reminder that we don’t need to “live” exactly like our ancestors did to enjoy their healthy diet! So grateful for this post!!!!! I’ve had guilt over using the microwave this past year, but hadn’t been able to figure a way around it with my busy schedule the health requirement to eat home-cooked food 99% of the time. None of it is scientific or even logical. Thanks for this article. Whether microwave ovens are harmful or not, I will continue to opt for other cooking methods because I think the way food tastes is important, and to me most microwaved food is not as nice. Thank you for this article. I stopped using a microwave several years ago, in part because it blandified food, but also because of the nutrient loss claims I had read about. I no longer own a microwave, but I will no longer jump through hoops to avoid using one at work if convenient. This is especially timely for me because I am on a baked potato kick, and microwaves sure do heat up a potato quickly! What about it helping to speed up cancer growth? I totally agree, for some reason Microwaves got a bad rep because it simply sounds bad and you can’t argue with the fact that it produces radiation. But in many cases they are better than cooking and the main advantage I see is that people are more likely to use them for cooking healthy meals than they are with traditional cooking methods. Mainly because people will use what’s easy for them to use. I’d rather have people use the microwave for cooking fast than thinking oh well I don’t have time for boiling water blah blah blah so I am just going to go for the crackers! So unless the Microwave is damaged use it! If you are worried just take a couple of steps back when it’s on wouldn’t hurt! 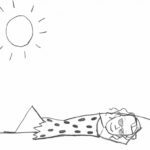 A great article that covers all the salient points in a rational manner. I love your (joking) idea to re-brand ionizing/non-ionizing radiation as bad/good radiation! Then maybe people would get the point! Actually I think if another word had been originally assigned to the waves of the electromagnetic spectrum rather than “radiation,” all this ridiculous fear of microwaves, and other sources of non-ionizing EMFs, would be nonexistent. OMG! This was such an eye-opener for me. I have been avoiding microwaves for over 15 years. I’m noticing a resistance to believing the information here – which is VERY interesting. I’m also noticing how I just believed the water study without looking for proof. I think I’m going to have to work to get my brain to let go of the resistance to microwaving. It will certainly make life easier! Great article! Any thoughts on lifespan of microwaves? Concern about interior coating as my microwave is O L D. Thanks! Thanks for the great post. Many people have used the microwave, but do not really know how to use it, this article will be useful for everyone.